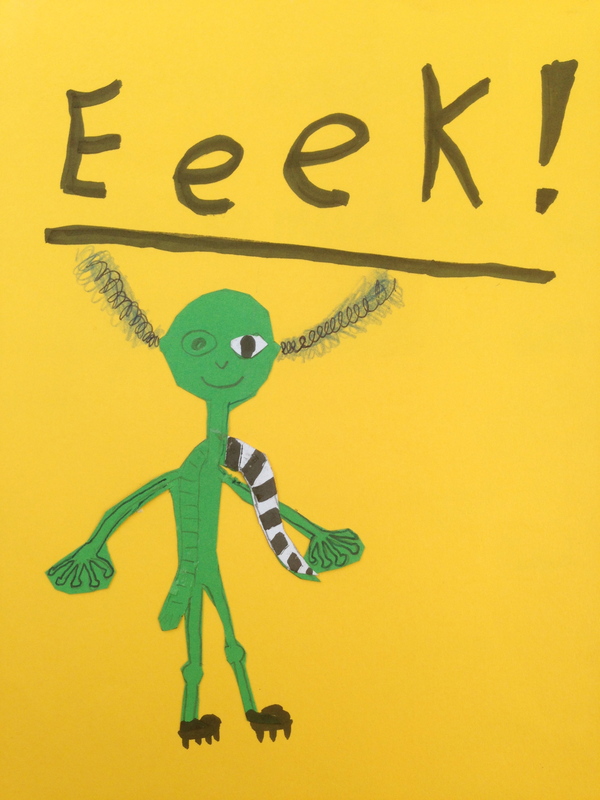 Children vote for ‘Eeek!’ in World Cup run-up! With the World Cup coming around again it feels timely to re-share this post about Eeek! 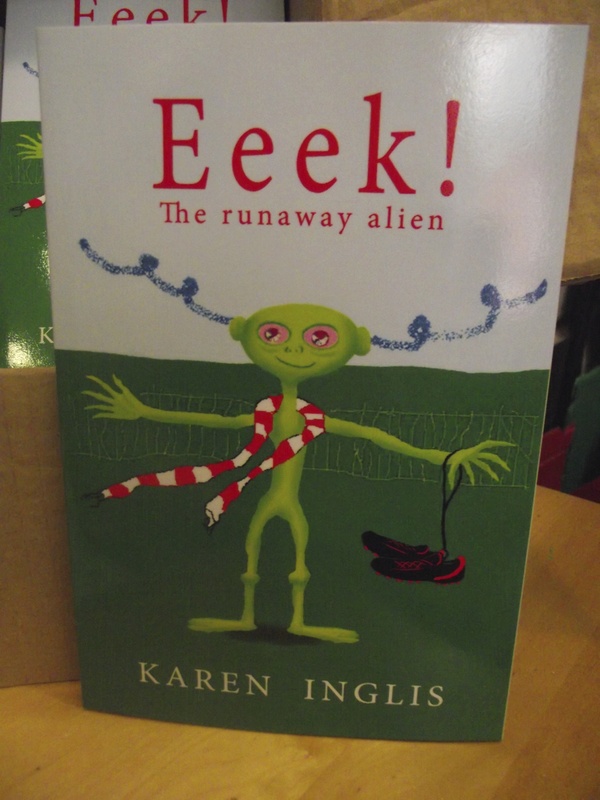 The Runaway Alien – my popular chapter book for ages 7-10 about an alien who runs away to Earth for the World Cup. 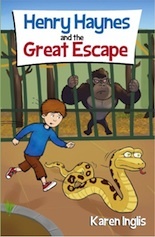 It continues to be one of my best sellers at school events – with over 150 new readers ordering copies during World Book Day week in 2018. If you’re looking for a laugh-out-loud funny page turner with an unexpected twist (sshh — don’t tell the kids!) you’re in the right place! Below is the post that I wrote a few years ago. Click or tap here to read reviews or order on Amazon UK. I’m thrilled to report that Eeek! has been voted favourite Book Club read by Year 3 boys and girls at a local primary school not once, not twice, but three times! 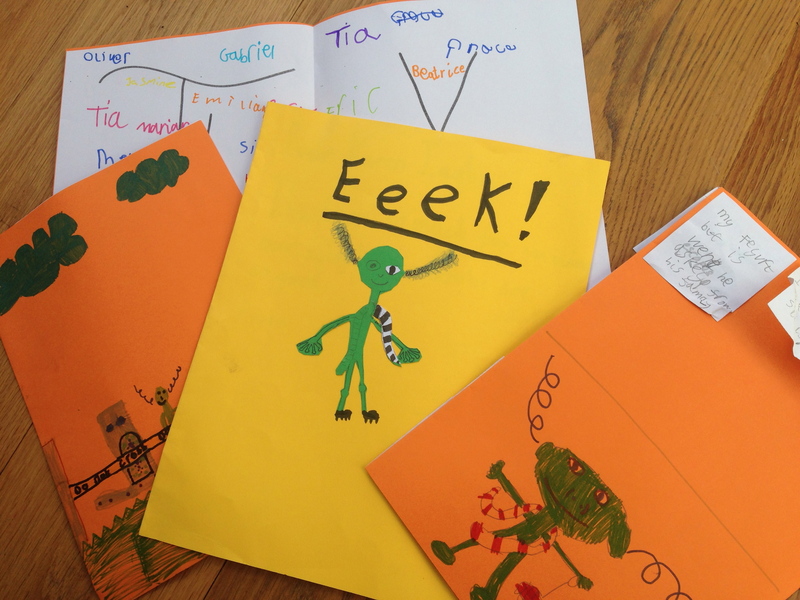 St Elizabeth’s Catholic Primary School in Richmond, Surrey, ordered 22 copies of Eeek! for their book club soon after it came out. It has evidently been working its magic on the children ever since – including with the most reluctant readers. 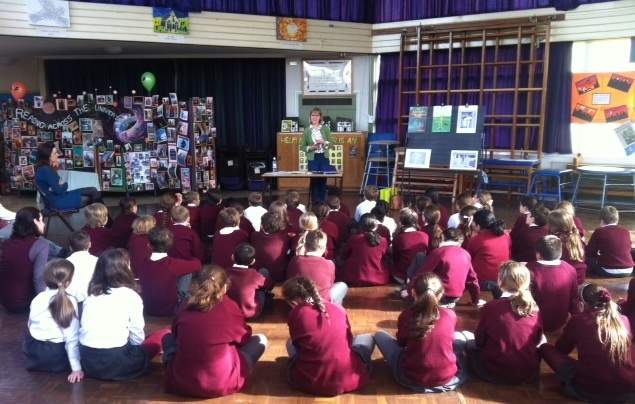 I was invited to spend the day at St Elizabeth’s as part of their World Book Day celebrations in March. 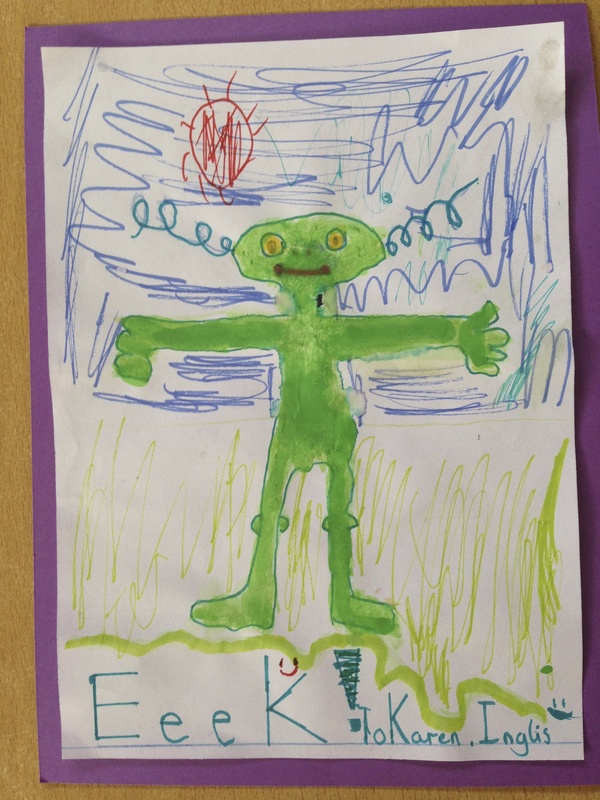 The school had themed its World Book Day celebrations around aliens – making my visit all the more apt! It was a hectic day at St Elizabeth’s, but I was grateful to Hannah Parker, St Elizabeth’s librarian, for finding a few minutes in the staffroom at lunchtime to conduct a mini-interview about the school book club – and Eeek! St Elizabeth’s school book club sounds like a great idea. Can you tell me a bit about its aims, who attends and how often it takes place? At the moment I run five book clubs across the Juniors, with between 10 and 15 children in each group. Membership is entirely voluntary, and we meet during one lunchtime each month to discuss that month’s book. 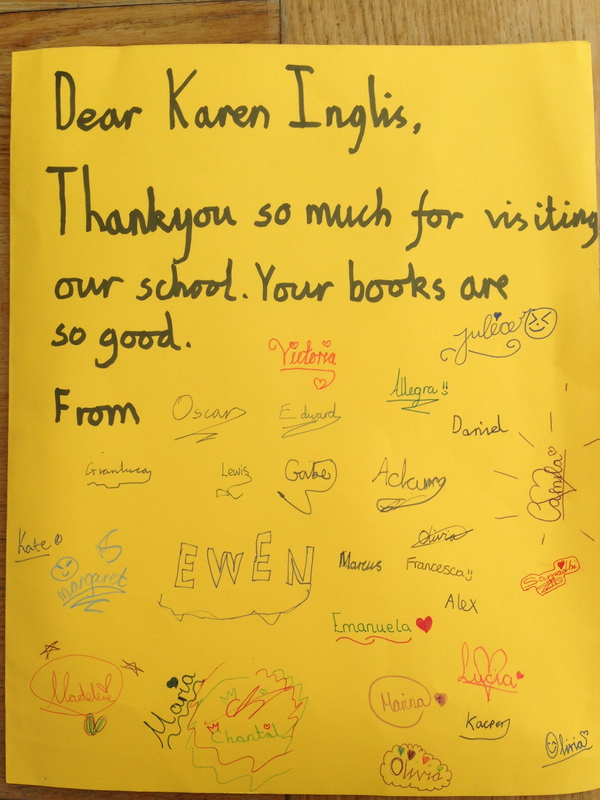 The club’s aim is to support literacy and encourage a love of reading by allowing children to choose a book and read it as a group – partly in school and partly at home – and then discuss it in a relaxed and informal setting. The children share their thoughts and ideas and then choose the book they wish to read for the subsequent month. I’m thrilled to hear that Eeek! has proven so popular with the children – clearly all that hard work has paid off! Can you tell me more about their feedback? This is the third year of using Eeek! in our Year 3 book club (we ordered 22 copies soon after it was published in 2012) and of course this year is especially fun as we have the World Cup coming up in June! Each year, without exception, Eeek! has been voted Year 3’s favourite book club book. Significantly, it’s just as popular with the girls as it is with the boys. What is it that the children particularly enjoy about it? Quite a lot really! They love the humour – and the relationship between Charlie and Eeek! They also love how Charlie and his best friend, Jake manage to pass Eeek! off as Charlie’s actor cousin when they take him out – and how the family all think little Rory is making up stories about an alien. And the ending is a huge hit with everyone (I’ll say no more!) They also love the illustrations. Having them scattered throughout the story helps keep the more reluctant readers engaged – though they really don’t need much encouragement! Admittedly some of the girls are a bit skeptical when the see the front cover – because it looks so obviously focused on football – but once they get reading they very quickly get drawn into the story. As I said earlier, Eeek! wins the all-round vote from both boys and girls for popularity. Anything else you’d like to add about how Eeek! works as a class reader? The pace of story is fast moving which I am sure helps – as do the short chapters which allow the children a sense of progress early on. I also think that the typesetting plays a part – the font is a reasonable size and there is good spacing between the lines. I am sure that all of these little things play an important part in encouraging some of the more reluctant readers to keep reading when otherwise they might struggle. I also think that the first person voice of the story really helps the children engage with Charlie’s experience – keeping them drawn into the story from start to finish. And that’s exactly what reading is all about! 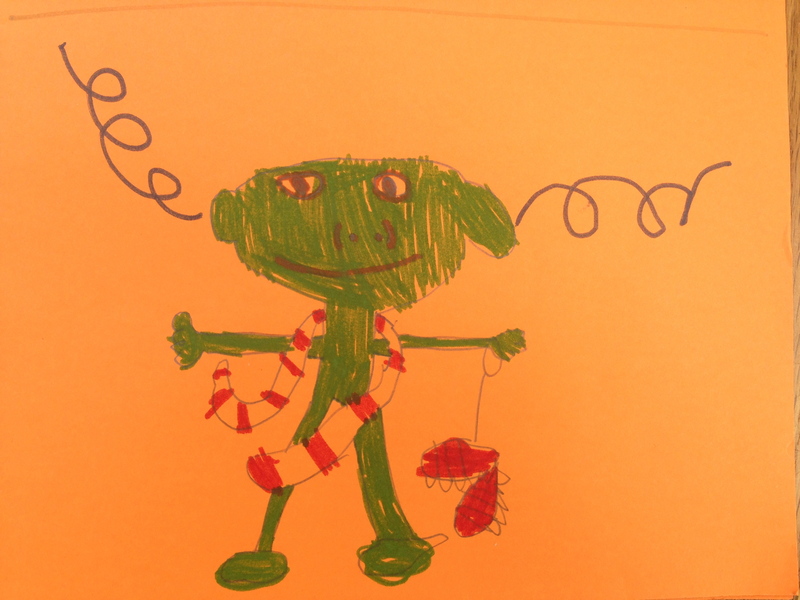 Charlie Spruit can hardly believe his luck when he opens his door to an alien one morning. Charlie soon discovers this alien is mad about football and has run away from space to Earth to be with him because the World Cup is on! I had a lovely day at St Elizabeth’s. As well as reading extracts of Eeek! to Years 2-6 I also introduced them to The Secret Lake, my time-slip mystery in which Stella (11) and Tom (8), when trying to find their elderly neighbour’s missing dog, discover a tunnel and lake that take to their home and the children living there 100 years in the past. The lake in the story – shown on the book’s front cover was inspired by Still Pond in Isabella Plantation in Richmond Park, where many of the children who attend St Elizabeth’s have been with their parents. I also introduced Reception and Year 1 to my rhyming picture book, Ferdinand Fox’s Big Sleep – and read advance extracts from my latest book Henry Haynes and The Great Escape. The children were also thrilled when I showed the Ferdinand Fox’s Big Sleep interactive iPad app! All in all a very rewarding visit! My special thanks to the school’s literacy co-ordinator, Michelle Jackson, for organising the day. You can buy Eeek! in print or on Kindle from Amazon and in print from most other online bookstores. You can also order it from any bookshop – and you’ll find it stocked in selected branches of Waterstones in south west London. And if you’d like to offer your 7-10-year-old (or older!) something extra special in the run-up to the World Cup, you can also order a personalised signed copy in the post (UK only). Eeek! is also part of Amazon’s Matchbook Program in the USA. Eeek! waiting at a level crossing! 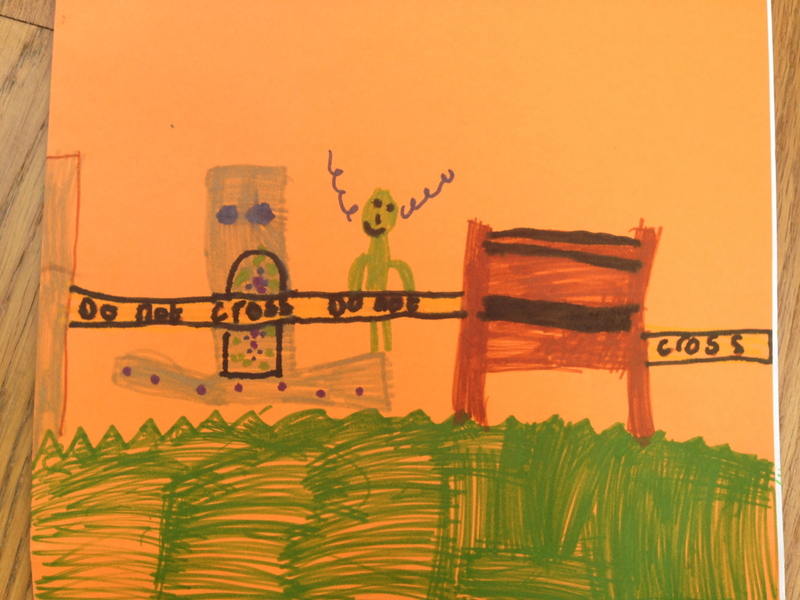 This entry was posted in Children's Books and tagged Children's Books, Graphic novel, Reluctant readers, World Cup. Bookmark the permalink.